One vine to show what vintage means. 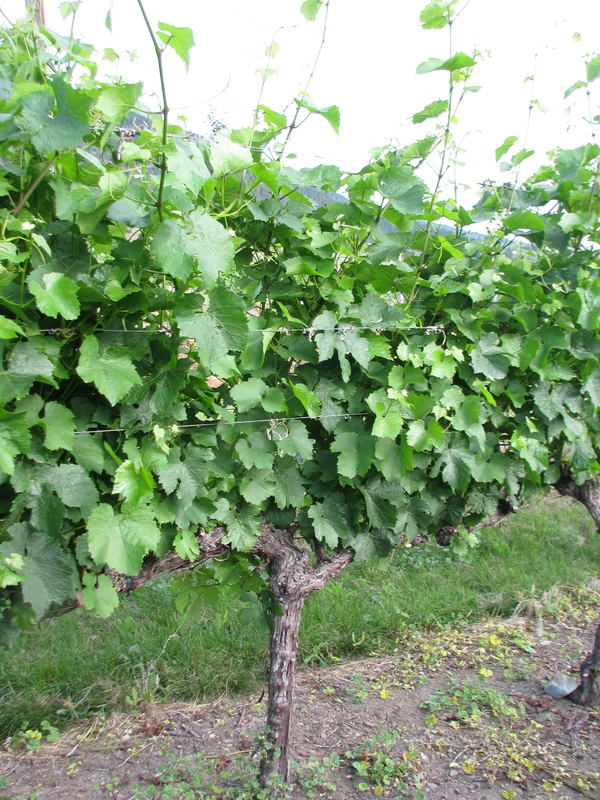 The vine-turned-star was Chardonnay Row 1, Vine 3 (renamed #ChardyTuesday) of our Tinhorn Creek Vineyard. Sitting right in front of my home, it was ideal for those gotta-get-the-five-year-old-on-the-bus-and-tweet-a-vine-in-only-ten-minutes kind of mornings. 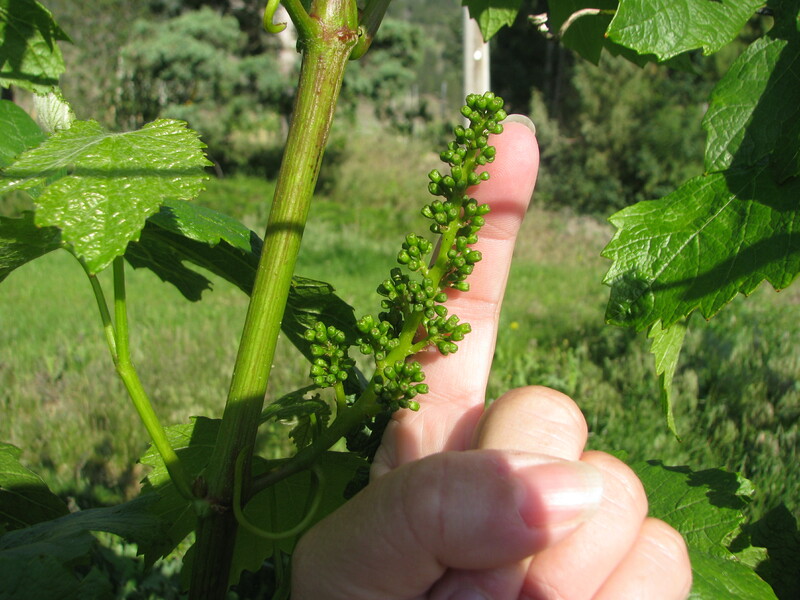 I started sending out a weekly look at the VINE and one of its CLUSTERS. I wrote short explanations of what had happened during the week with respect to operations or weather events and sometimes a bit of an insight into my thoughts on how the vintage was shaping up. Note: just click on an individual picture in the links above and my comments will appear. I never missed a week of posting in five months–from bud burst in early May to harvest day on October 7. (Ahem, there was one day where I got home to find a host of followers asking “What happened to the #ChardyTuesday update yesterday?”… D’oh!). It became a chronicle of the 2010 season, and I find myself referring back to it even now, months after it has ended. I think it connected people to what we do on this land in a very personal way. Hopefully it also gave the people following the hash tag a sense of that illusive thing called “vintage”. It allowed me to explore a new way of interacting with our customers–which always excites me. Lastly, it gave me a zillion ideas for how to bring people closer to the place that, 16 years ago, lured me up from California. …look for #SyrahTuesday in 2011, with a twist…or three. I can’t do anything the same way twice. This entry was posted in Grapes and Wine, TInhorn Creek and tagged #ChardyTuesday, Chardonnay, Grapes, Tinhorn, winegrapes. Bookmark the permalink. Love the blog! Looking forward to reading more. Sandra, love the blog, and the car! I look forward to reading, following and learning about the Syrah Vine this year. Thank you! Great, loved the updates last year, looking forward to the twist on this year. Great new post. Sounds like a great way to build a really engaged following. People love regular features, and you can always blog the updates too, using http://tweetshots.com (and no, they didn’t pay me to post that link). Definitely a huge fan of #ChardyTuesday, I can’t wait to see the wine come to fruition and the birth of another “vine tradition”. Winemaker, blogger, tweeter…triple threat. A great curator – in many ways. Well done, Sandra!